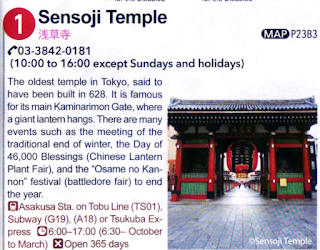 One tourist spot in Asakusa was the Sensoji (浅草寺), literally the Senso Temple. 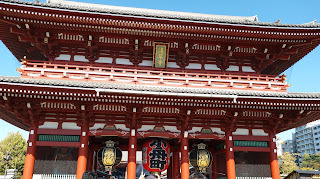 Ji (寺) in Japanese means temple. The Tokyo Travel Guide has the following to say about this Temple. Karminarimon Gate (雷門 ) is a gate at the outskirt of Sensoji, after passing through this Gate, tourists must walk several minutes along a straight road (仲見世通り) before reaching the Sensoji where one can made prayers to god. 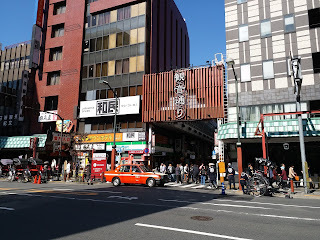 Lining along both sides of this straight road are shops selling all kinds of souvenir. 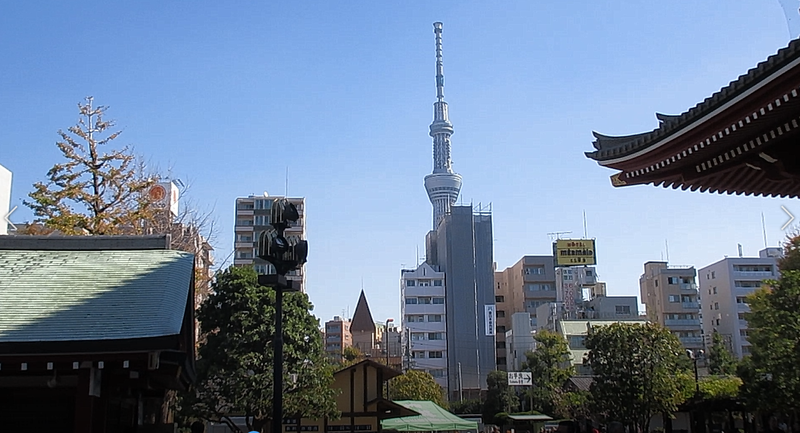 Standing before the Sensoji, looking east, one can see the Tokyo Skytree in the distance. In Asakusa, apart from the Sensoji, there is the “Touring the district on rickshaw” service offered outside the Kan'non-dōri (觀音通り). Tourist can enjoy the city scene by riding on a rickshaw driven by handsome and physically very fit young guys. 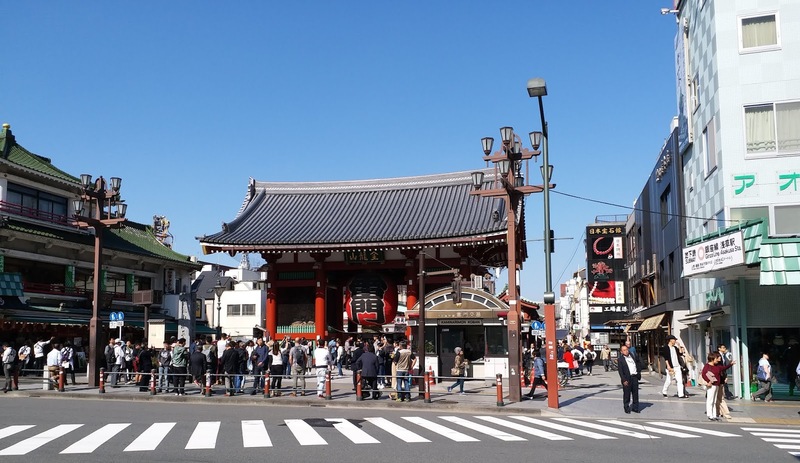 In Asakusa eating is also an attraction. 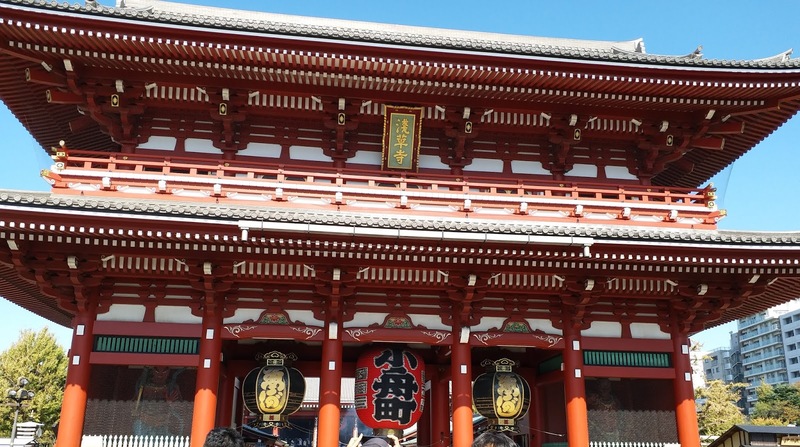 There are several high-end restaurants, some specialized in making shrimp tempura that costs around 1,000 yen each. There is also a restaurant boasting that their eels are caught in Japan instead of importing from overseas, mainly China.